Let me start by saying that I appreciate your posts because they make me reflect and think about my practice. While reading your post, I tried to think about the types of problems I’ve worked on and where they would fall in your classification system. Honestly though, I don’t know how they would fit in your taxonomy. In every problem-based lesson I have created, I expect students to demonstrate many of the Standards for Mathematical Practice. In every lesson I expect students to have to apply their content knowledge, and if they do not have the required knowledge, I expect them to learn it, both conceptually and procedurally, so they can return to the problem and apply it. That doesn’t seem to be a neat fit anywhere. I can say that I haven’t used any problems like your “Assessment Problems” category, but that sounds very similar to performance tasks on the CCSS assessments. Maybe it would be helpful to take some example problems and see how they would fit on your taxonomy? I thought about that, Robert, it’s difficult to look at a task and place in to one of these four categories. What I was/am trying to get at is the scaffolding and assessment pieces that accompany a problem. To your point, I implemented the problem I mention in the Assessment Problem section as a sort of final exam one year, and incorporated it into my Unit on quadrilaterals as a Conceptual Understanding problem the following year (though, I wasn’t naming them at the time). Maybe this’ll be cleared up in the next post, but this naming system I think refers for to the facilitation through the problem – the scaffolding, the debrief and the assessment – rather than the task itself. Depending on your intended outcomes those three elements can look much different, even if a task itself doesn’t. 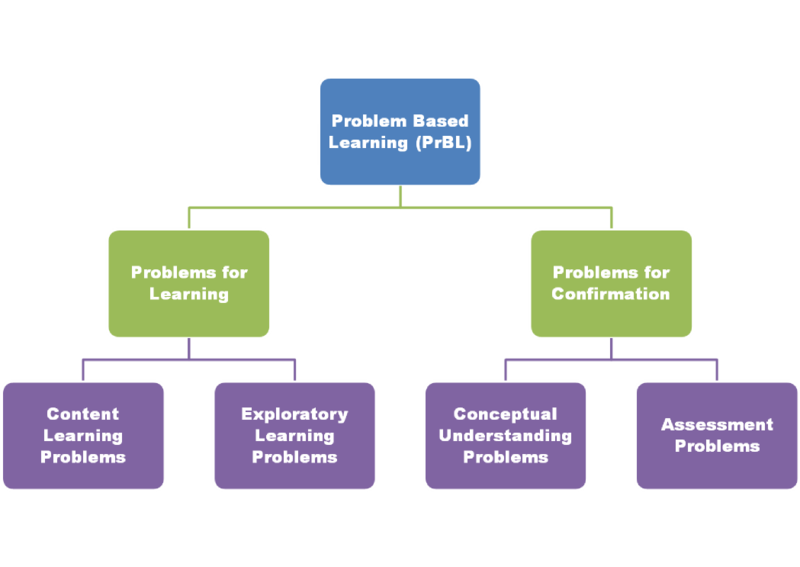 Reading this again before I comment on your latest post, I think every problem I have done has fallen into the Content Learning Problems category. It didn’t seem so clear the first time I read it… but now it seems obvious according to your taxonomy. Gotcha. I appreciate the feedback. I’d say *most* of the problems I’ve facilitated were of the content learning variety. A vast majority even. But occasionally I’d have a problem to assess, a problem to explore, or a problem to reinforce to buttress those content learning problems. Hi Geoff. Great to read your thoughts. I like and agree with the idea of the taxonomy and it provides a reference for what we do. I suspect, like you and Robert, that the majority of my problems are content focused, but that’s where I usually begin. Sadly there is usually a time constraint in which we have to deliver our content here in Sydney, but there is the challenge I suppose – finding opportunities to run exploratory problems. I also agree that a taxonomy provides a framework but not a divide – many problems will have elements of each. But I like the taxonomy because it forces me to consider the target outcomes both in terms on content and what we call ‘working mathematically’ skills. Finally, I understand what you’re aiming for with the assessment problems, but I’d argue that every problem is an assessment of something. I’ll email my version of your taxonomy (can’t find an attachment option here). Finally finally, one of the key words you’ve used is fluidity. To me this represents the ability not only to recall and use a particular procedure or technique, but the understanding that the skills is suitable even when the context is not fully clear.